In the past bed have traditionally fallen into the Single, Double, King and Super King bed sizes. But in recent years bed sizes have expanded dramatically to include everything from small 2'3" singles up to Emperor and Caesar size beds. 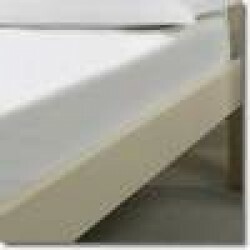 Mattresses have also developed with new materials and fillings that mean that a standard depth is less likely. This in turn means that standard size bed sheets will probably not fit. We have made fitted sheets for unusual bed sizes for over 20 years. All our out size sheets are cut from the roll so they accommodate any length, width and depth of mattress. 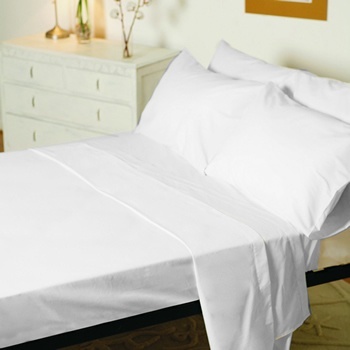 We manufacture a massive range of sizes using only quality 200, 400 & 1000 thread count fabrics. If you cant find your size, don't worry. Just call us on 01706 220020 or email us to get a quoted price. Bespoke Fitted Sheets in Poly Cotton - 11 ColoursFitted sheets made to any size in 200 Thread Count ..
Small Super King Fitted Sheet in 100% Cotton - White or IvoryFitted sheets to fit 5'6" x 6'6", 170 x..
Small Super King Fitted Sheet in 1000 Count Cotton100% Cotton Fitted sheets for 5'6" x 6'6", 170 x 2..
Small Super King Fitted Sheet in 400 Count Cotton - White or Ivory100% Cotton Fitted sheets for 5'6"..
Small Super King Fitted Sheet in Poly Cotton - 11 ColoursFitted sheets to fit 5'6" x 6'6", 170 x 200..
Fitted Sheet to fit Any Size of Bed in 1000 Thread Count 100% Cotton, 1000 Thread Count Ultra H..